With a desirable sense of exclusivity, this timepiece of the Pathos family is a bold embodiment of extravagance and an expression of feminine elegance. With a desirable sense of exclusivity, this timepiece of the Pathos family is a bold embodiment of extravagance and an expression of feminine elegance. Multifaceted, exuding character and passion, the Pathos Desire holds out a promise it fulfills in every detail. 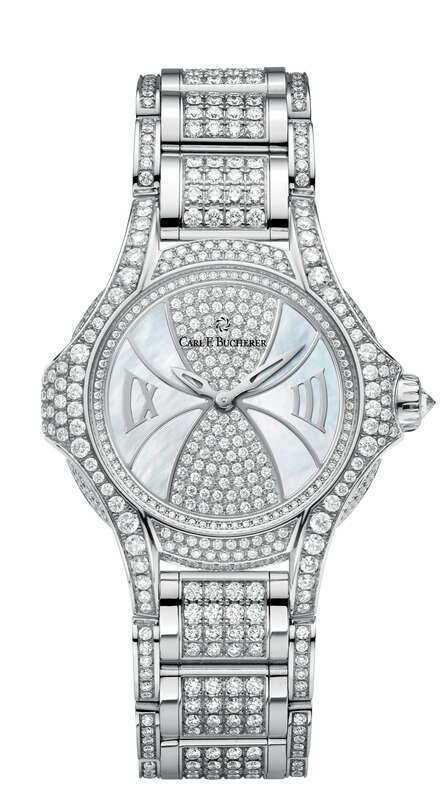 Delicately fashioned petals made of 18 K white gold and set with diamonds decorate the dial. Like the many diamonds on the bracelet, they playfully refract incident light and endow the Pathos Desire with an aura of pure radiance. Beautifully fashioned Roman numerals with a touch of perspective set against mother-of-pearl underscore the watch’s unique elegance. Available in a limited edition, this masterpiece of the watchmaker’s art with 870 diamonds is far more than a mere timepiece: it is an eloquent expression of life at its most luxurious.